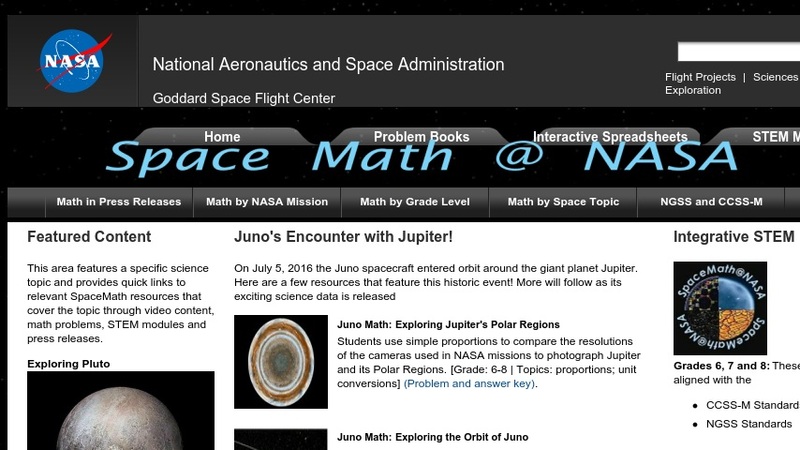 This page features mathematics problem sets that are designed to teach intermediate and upper-level students about space weather. The downloadable problem sets include one or more math problems to be solved using the information provided, a teachers' guide or answer key, and an inquiry question about the results. The web page features the current week's problem set, sets from previous weeks, and an archive of problem sets from past years. There are also downloadable books of the 20 most interesting problems published each year.